Lily Iona Mackenzie, Author of Fling! I don’t think I had any choice. Writing is as necessary to me as eating, and if I don’t write each day, I become irritable and unpleasant to live with. Ask my husband! When I was 13, I started a diary, but I was afraid someone would see what I had written. I recall using a coded language that I can’t remember. I would love to see those pages again so I would have a better sense of my writing self at that age. I didn’t start keeping a diary again until I was in my mid-20s and going through a deep depression. The writing was my attempt to understand what was happening. I began then to journal daily not only about what I was thinking and feeling, but I also recorded my nightly dreams. I’ve continued this practice ever since, learning much about myself in the process. I feel that keeping in close contact with my dreams has fed my writing and enriched my imagination. It was at this time that I also started exploring the craft of writing, entering an undergraduate creative writing program at San Francisco State. I later earned two Master’s degrees (one in Creative writing and one in the Humanities). These degrees lead to me becoming a part-time writing teacher in the SF Bay Area where I’ve been teaching for 35 years. They also helped me to develop my writing craft. I started out with a poetry focus. But I eventually branched out to writing short and long fiction, as well as reviews, travel pieces, essays, and memoir that I’ve published in over 150 American and Canadian venues. I’ve also written novels. Fling! was published by Pen-L Publishing in July 2015. Bone Songs, another novel, will be published by Regal House Press in 2018. Pen-L has contracted with me for three additional works, one of them being Freefall: A Divine Comedy, to be released in 2018. My poetry collection All This was published in 2011. Non-writers don’t realize how much work goes into writing and polishing manuscripts, especially short and/or long fiction. On the page, the narrative seems so natural, as if it had come that way from the author’s brain. But in reality, the actual writing doesn’t begin until the writer has completed many drafts. And then the polishing process takes an additional time commitment. A parallel endeavor that captures this activity is woodworking. The builder starts with disparate pieces that eventually coalesce in a recognizable product. But then the creator spends an enormous amount of time just attending to the wood’s surface, not stopping until the grain shines through perfectly. Writers are equally engaged in creating their narratives. I can’t imagine being a full-time writer if that means spending six to eight hours a day in front of a computer! But part-time makes it sounds as if I haven’t taken writing seriously, which is not the case. However, since only five percent of writers can support themselves from writing, I’m not the only one who has had to squeeze writing time into an otherwise busy life. While I was helping to raise my two step children, teaching part time, and vice president of the University of San Francisco’s part-time faculty union, I always managed to write for an hour a day, sometimes seven days a week. It’s amazing how productive one can be in that amount of time, as my resume shows. During those years I completed four-plus novels and published short stories, reviews, travel pieces, essays, and memoir in over 150 American and Canadian venues. Now that I’m on a semi-leave of absence from teaching part-time, I find that I still can’t spend more than a couple of hours a day writing. Of course, marketing my novel has required an intense learning curve and takes a tremendous amount of time over and above writing. When I start writing, whether it’s fiction or non-fiction, I have no idea where I’m going. That’s the fun part of writing for me: the quest. The heading off into the dark with very little light guiding me. I’m not sure I even have an “idea” at the beginning of a work. For example, my novel Bone Songs started with an image. I had read in the paper about a tornado hitting a small town near the city where I grew up in Canada. For some reason, that image grabbed my imagination, and the novel actually starts at that point, with the tornado approaching the fictional town of Weed, Alberta. When my book first came out, I paid a blog tour organizer $350 for a tour that included four reviews. It was worth it to me to spend this money on marketing, though the “tour” wasn’t as well managed as I’d hoped. I’m not sure that I connected with potential readers of my novel during the 12-day event. I was supposed to be available each day to respond to questions that could come from followers of these blogs. But, in reality, in most cases, I was the only one there, waiting for someone to ask me a question! Even the blogger was absent. The four reviews that bloggers posted on their websites were the best part of this deal. After some prodding, most were also posted on Amazon, etc. Would I do it again? I wouldn’t pay for one again. I could do as well on my own by contacting potential bloggers and reviewers. I also would not do my book launch at a bookstore again. The store charged me $150 for the privilege of reading there, in addition to the cost of appetizers and drinks (wine, water, and sodas). Of course, they also kept 60% of the profits on any sales. While I’m fully sympathetic with independent bookstores and want to support them, I’ll hold my next launch at a different venue. We have a neighborhood restaurant that won’t charge me for use of a lovely room that overlooks the SF Bay. I’ll just pay for snacks and drinks. They also won’t take any portion of what I make selling books. I also made the mistake of signing up for a couple of book festivals and paying hefty fees to participate. Dear writer, please do not waste your time or money! It’s difficult to make one’s book stand out in a sea of books no matter what the genre is. So I’m questioning the value of such events for promoting books in general. Unless you are a major literary figure or have a particular shtick, you will not do well at these events. However, if you can find your way onto a panel or do a presentation, then you might have a better chance of being recognized and make some sales. But don’t count on it. I researched extensively, and continue to do so, potential readers and reviewers for my novel Fling!. Reviews generate a buzz, especially if they are posted on major sites like Amazon, Goodreads, and Barnes & Noble. It’s essential, then, to gather as many as we can. They encourage potential readers to take a chance on our books based on other readers’ experience. And it’s more readers that we want, right? I also found it useful to generate interviews on other writers’ blogs. I did this in multiple ways. First, my press, Pen-L Publishing, has authors who were willing to work with me, doing blog exchanges. In addition, I found blogs that seemed to have good followings and suggested we exchange interviews or guest blog posts. This also generated some good connections. I have found Goodreads to be the best source in two ways. First, I have done two giveaways of a total of 20 books. While it’s costly to mail the novels, especially if you don’t designate US only (as I didn’t on my first giveaway, opening it to Canada and the UK, thinking it would give me a bigger readership range), it’s worth the expense, a tax write off. 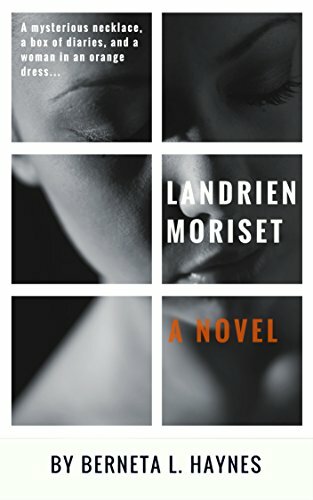 A number of people listed the novel as one they wanted to read. And some of them will write a review. Goodreads’ ad campaign also has been productive. The book title and description reach many people over a long period. I’ve been running mine since early July 2015. So far I’ve only paid about $30.00 for my original $50 ad campaign, but I’ve reached innumerable potential readers. So in terms of pay off, the Goodreads ads seem to be a good investment. The message here? Take the time to do your homework and find the many free resources there actually are out there before you give away too much of your hard-earned money. It pays off in the end. Patience seems to be the key here. I had to let go of my need for instant gratification and realize that the publishing scene has its own pace. It may speed up at times. It may slow down at other times. But it will be less discouraging if I think more in terms of years than a few months. Writing is a life-long commitment. Don’t take it lightly as it requires tremendous discipline in order to succeed if by success you mean getting published. But while publishing is most writers’ ultimate goal, you also must write because it’s an essential part of your being. You have to do it! Writing well also requires a life-long apprenticeship. Read everything you can by writers you admire and also by the ones you don’t respect. Sometimes the latter can be your best teachers as they will show you what not to do. Finally, learn from everyone and everything. Be attentive not only to your inner world but also to your surroundings. Explore the world in as many ways as you can so your imagination has plenty of material to work with. Fling! isn’t my latest book, but so far it’s the only novel I’ve published (my poetry collection, All This, was published in 2011). Fling! began because I was curious about my mother’s mother, someone I had never met. Early in the 20th C, my grandfather, a former Scottish schoolmaster in Scotland’s highlands, immigrated to Calgary, Canada, hoping to find a better life there for himself and his family. Meanwhile, WWI broke out, and his wife and five kids couldn’t join him for seven years. When they did, my grandmother couldn’t adjust to the brutal winters or to her husband. After being there a year, she moved out, refusing to put up with my grandpa’s verbal and physical abuse, and became a housekeeper for a wealthy family. The story is that her boss became her lover and took her to Mexico with him. She never returned and died there. I wanted to try and recreate what life might have been like for her once she left Canada, and that then brought in a number of other characters that inhabit the novel. While some aspects of Fling! have seeds in my history of growing up in Canada and in my family, those origins shift from autobiographical into art when I start writing. None of the characters are specifically modeled on people I know, but they may all be, at least partially, based on characteristics of people I have known in Canada and elsewhere. Or they may be totally invented. I think I’ve answered this in my advice about marketing, but I also have encouraged friends and acquaintances to review the book. I explain that the more reviews I receive on Amazon, the more likely Amazon will boost it in the various ways it has. I am passionate about all of the arts and museums, concert halls, and theaters are my temples. Art really is a religion for me. If I had another life, I would come back as a visual artist! But since I can’t count on that, I do dabble in painting and assemblage. How can you learn more about Lily’s work? Blog | Facebook | Twitter | Goodreads | Pinterest | Amazon Author Page | Book Link | Audio of Fling!